The leading hotels are located on the coast. 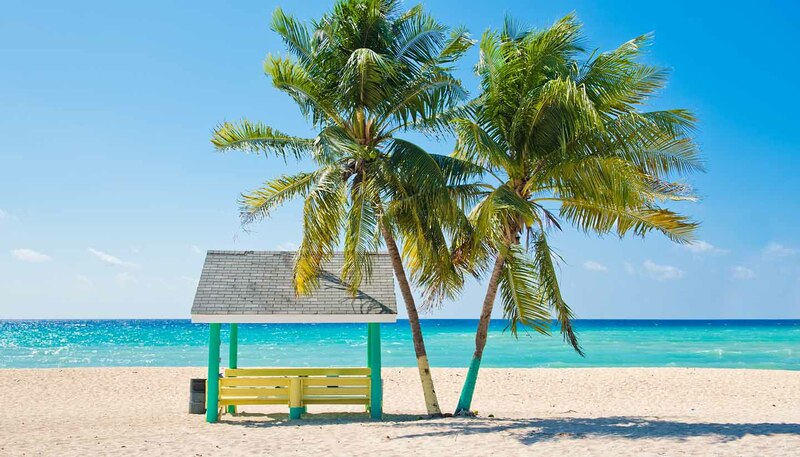 Some of the best-known overlook Grand Cayman's Seven Mile Beach: a dazzling stretch of fine powdery sand said to be one of the world's most beautiful beaches. Hotels providing accommodation with 100 rooms are considered large in the Cayman Islands, and are generally only found only on Grand Cayman. Visitors don't have to stay in a behemoth luxury resort however; there are more boutique retreats available too. Prices are seasonal; the high season begins in mid-December and usually runs through to mid-April. During that time, visitors should expect to pay up to 50% more for a room, peaking over the Christmas and New Year period. A 10% government accommodation tax is payable to the hotel on departure. Most also add a service charge of around 10%. Grading: A government board of control monitors accommodation standards. Hotels vary in standard, from luxury (very comfortable, with some outstanding features) to tourist class (budget hotel). There are very few B&Bs or guesthouses on the islands, as the majority of visitors opt for hotel accommodation. The Shangri-La on Grand Cayman is one of the most luxurious examples on the islands, whilst Walton's Mango Manor is the only B&B on Cayman Brac. The standard varies from charmingly rustic to low-key luxury, and are perfect for a relaxing break – just don't expect the same in terms of facilities and mod-cons as at the larger hotels. If you do decide to camp, prepare in advance as you will need to adhere to strict rules – all rubbish and waste must be cleared upon departure, there's no camping on private property without prior permission, lighting fires will require a pre-approved permit, and all human waste must be hygienically disposed of, meaning you will need to stay near a public toilet. Self catering: Renting a villa, or condo apartment is the savvy option for those travelling on a budget as you'll often get more space for your money. The three islands have accommodation to suit most budgets and on Grand Cayman, many apartments are superbly situated on coastal areas, mere footsteps away from beautiful beaches and crystal-clear water. Often they also have central facilities such as swimming pools and tennis courts.